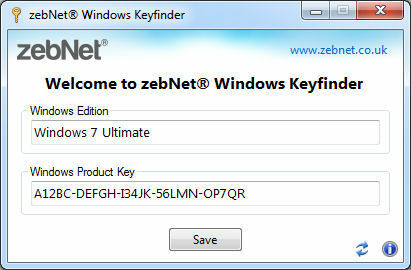 zebNet Windows Keyfinder is a very simple but useful tool to retrieve your Windows Product Key. Simply run the app and it will display the Windows Edition, and the Windows Product Key in full. You have an option to save this information to file.